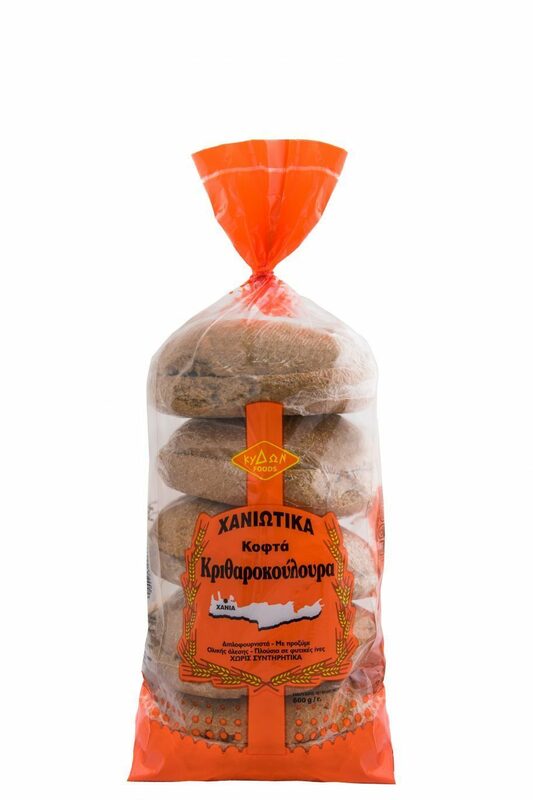 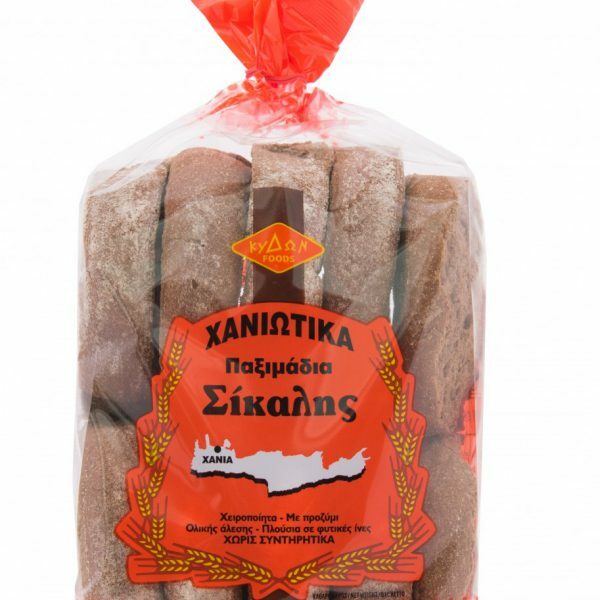 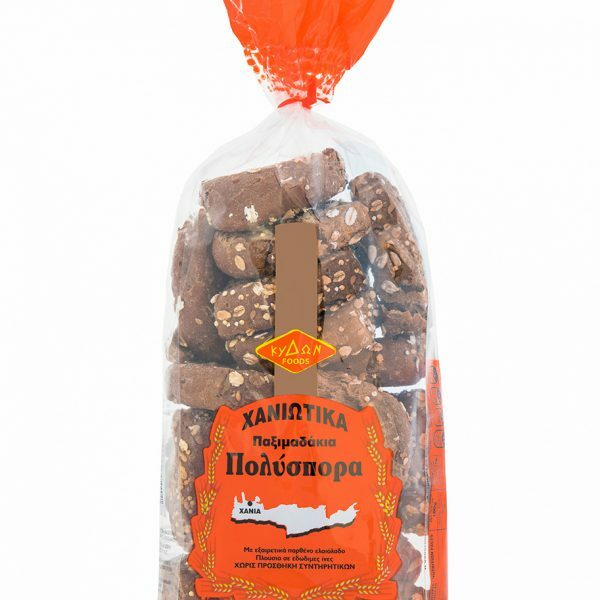 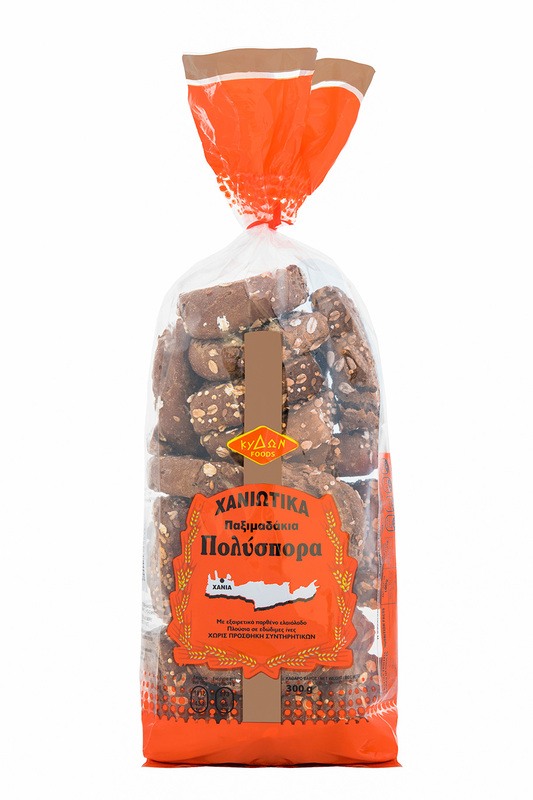 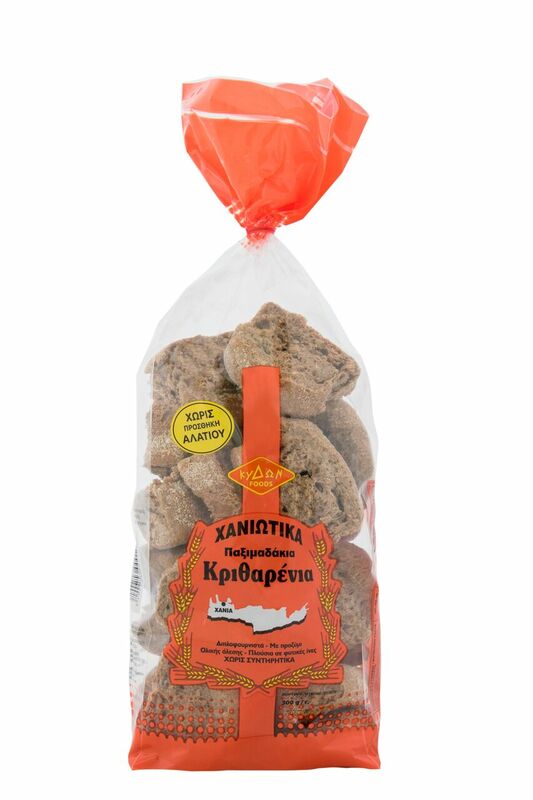 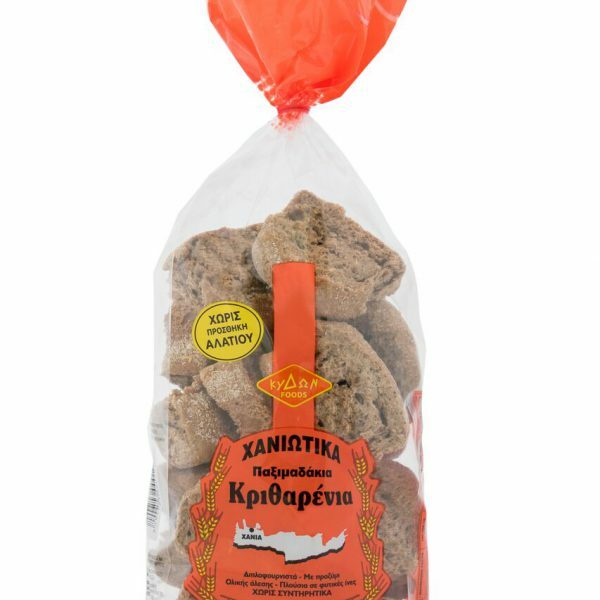 Perhaps the best known representative of traditional Cretan diet. 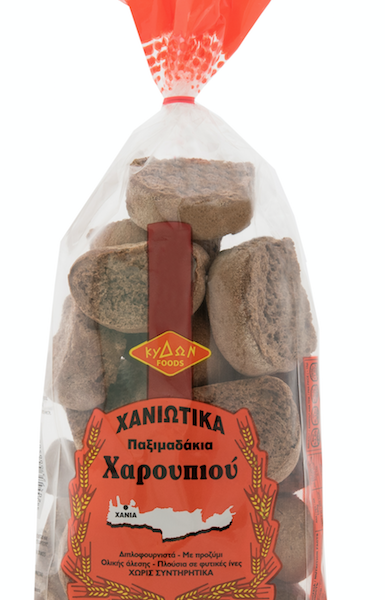 Double baked handmade rusk from wholegrain flour rich in fiber, ideal for the preparation of the famous Cretan Dakos where we sprinkled the barley rusks with oil, add chopped fresh tomatoes, oregano, mizithra (cream cheese) and end olive oil, have a full meal with low calories, carbs, proteins and vitamins. 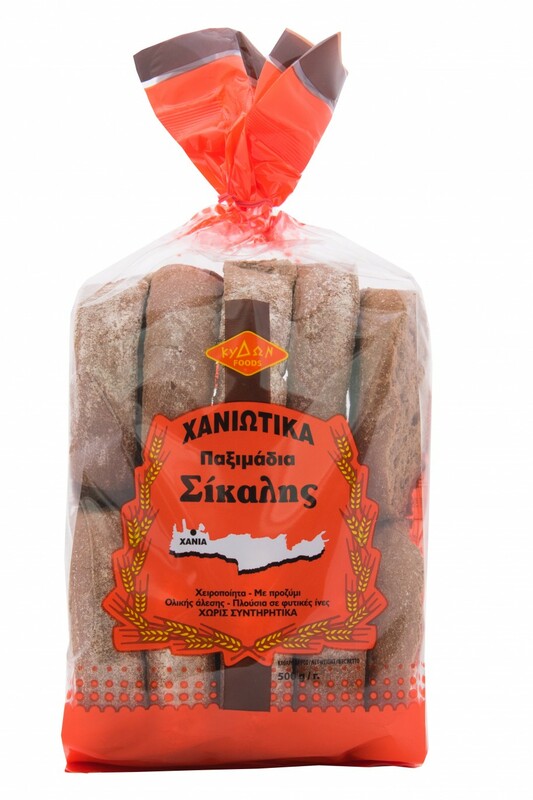 INGREDIENTS: wholegrain barley flour 60%, wheat flour rustic 40%, salt yeast leavened.